April 8, 2009- AleaSoft has developed a model for short and mid-term prices forecasting in the Italian Power Exchange (IPEX). The purpose of this development is to satisfy the needs of agents operating in the Italian market, providing accurate and automatic forecasting. Another advantage of the product is data feeding from public sources, so that it can be used by any agent. The model is integrated in the “AleaPrice” platform. This platform obtains automatic electricity prices forecasting for such markets as: Mibel (Spain and Portugal), PowerNext (France) and Phelix (Austria and Germany). “AleaPrice” differential factor is based on the machine learning algorithms in the forecasting engine. The algorithms, based on AleaSoft neural networks, capture the dynamic nature of price setting, thus maintaining the models updated when trend changes occur. 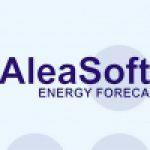 AleaSoft reinforces its position as a provider of forecasting solutions in the Italian market, where the company already has a group of important customers using its forecasting models (including Enel, Terna and Eon-Italia). The objective of AleaSoft is to become the leading price forecasting supplier in the Italian market, as it is in Spain, where AleaSoft’s price forecasting models are used by leading Mibel agents.